Did you make any new year's resolutions this year? It's not an annual undertaking for me, but I've taken the opportunity here to make a handful for you. And at the end, maybe I'll make a few for myself and Food Processing. Be more transparent. It's no accident I mention this first. That seemed like it could have been the solution to most of the crises we reported on last year. And with some big ones looming for 2013, you might want to get in some practice. One big issue many of you will face in this new year is genetically engineered ingredients. Despite the failure of Proposition 37 on the California ballot last November, all indications are that GMOs will be a battleground this year. The California vote was close – 51.5 percent against to 48.5 in favor – and I think that's reflective of national thinking on this issue. This is an issue that's difficult for this magazine to take sides on. Most of our readers are bigger food companies that probably would oppose GMO labeling, but we have quite a few smaller processors who have built their companies on being all-natural. It's also hard to side with one consumer group over the other because, while it's true you can't please everybody, you don't want to polarize 48.5 percent of your customers, either. So we recommend: Communicate your position clearly and fairly, unemotionally. Wouldn't it be great if, following a year of healthy dialog on the subject, all sides could come to some consensus. I'm not holding my breath, but it's worth a try. Be more vigilant. After all the emphasis on food safety that I hear from everybody in this industry, it's surprising that something like a Sunland Inc. (the peanut butter maker) can occur. Indications are that the FDA found salmonella all over that plant, and even found evidence the company had shipped peanut butter that had a positive salmonella test. Make sure this could never happen at your company. Fund your R&D department. Innovation has never stopped, but it did seem to slow just a bit during the recession. Then private label gained market share. 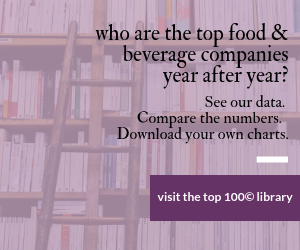 This subject is polarizing, too, as much of our audience is contract manufacturers, and even the big brand firms do a significant amount of private label. But I still believe the real innovation, and certainly the home runs, comes from processors who are willing to experiment and who back their product development people with patience, support and funds. So encourage your lab coats to swing for the fences. By the way, we'll be sending out our annual R&D Survey next month, so please take the online survey. Fund your capital spending. Some of those home runs you can manufacture on your current equipment and within your current walls. But, especially after a few years of cutting back and improving capacity utilization, maybe it's time to open up the checkbook and spend some on growth. Another by the way: We'll be reporting on capital spending budgets in our April issue. Create a generous refund policy. I'm partially stealing that idea from our Power Lunch guest columnist this month but it's something I've advocated for a while too. Attorney Thomas Hanrahan on calls it "a bulwark against consumer lawsuits ... Think of refunds as cheap insurance." I think of it as great way to cement a relationship with your customer. There are precious few instances when consumers initiate contact with you. They'll be flabbergasted when an expected fight turns into a pleasant dialog, in which you ask their opinions on other products of yours and even other issues. We'll make some resolutions too. We'll try harder to get you food processors involved in every story we do. I think we do a good job of it already, but we can do more. I hope you respond positively to our overtures. We're budgeting to do more stories this year, including more shorter ones. We know your time is precious and there are plenty of trade magazines, so we want to be interesting and a quick read. Speaking of our surveys, I vow to make all of them shorter, by at least one question each – more if possible. The stories they beget are where we can be a mirror of you, the food industry. As we say in a few of them, "Give us 5 minutes of your time and we'll give you the collective wisdom of your peers." So we'll be brief if you'll be responsive. I promise to talk to more of you at shows. We spend a lot of time at trade shows collecting information from the exhibitors, equipment and ingredient vendors, but I feel I've missed opportunities to connect with you. So be kind to me if I approach you at a show this year. And why not visit us in our booth? We exhibit at most of the bigger shows. Here's wishing 2013 is a happy new year for both of us.